Sell your Orlando vacation home. Our website draws thousands of International visitors and investors each month who are looking to buy a vacation home here in the Kissimmee area. Where better than to sell your vacation home than with someone who has a vast amount buyers looking to purchase a vacation property? Our team offers a full professional listing service including the best domestic and international exposure through the MLS, this website, our network of agents and brokers and our international marketing program. Our team creates professional video and photographic profiles of your home to maximize buyers interest in your property so your property stands out against the competition. There is no additional fee for this fantastic service. Our database of visitors looking for a great vacation home in Orlando becomes your client list and a clear and effective way to sell your home quickly and professionally. We look forward to working with you in the successful sale of your vacation home in the Kissimmee area. 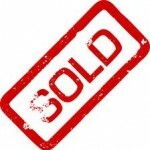 Please complete the following if you would like to know more about selling your Florida vacation home.